This Central Stainless Steel piece really stands out. 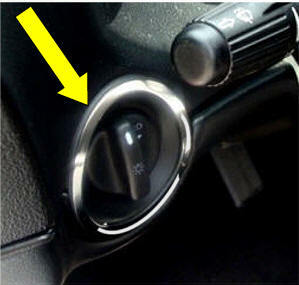 HIGH-Polished metal piece that fits around the edge of your e-brake. 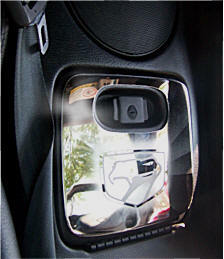 Because the trim is high polished stainless steel it is as reflective as a mirror. 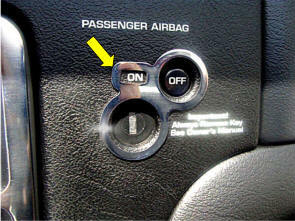 Does not interfere with the operation of your e-brake. No modifications are needed. Made of pure Bright Shiny heavy gage Stainless Steel with a High-Polished finish. Will not rust, corrode, or ever lose its luster! Easy to install. Peel and stick. 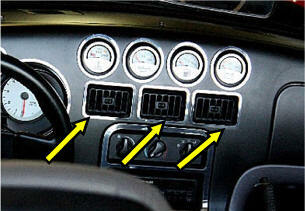 Check the shape of your e-brake base to see which one you need. These Stainless Steel pieces really stand out. 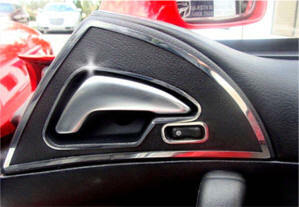 HIGH-Polished metal pieces that fits around the door handle edges and lock button. 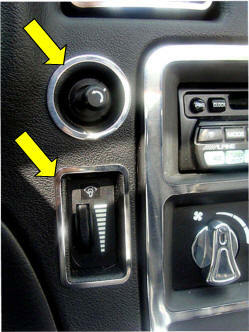 Does not interfere with the operation of your door handle or control. No modifications are needed. 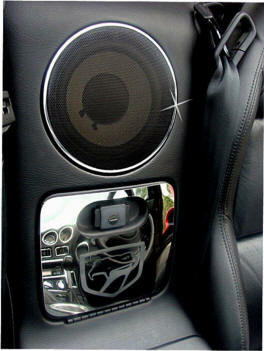 High polished Rear Center Speaker Trim with two door tweeter trim rings. Adds a touch of class to your interior. 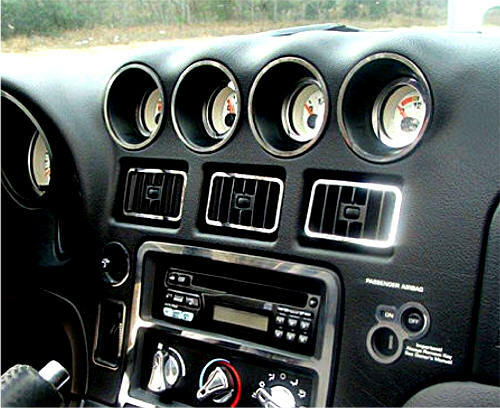 Glove box panel sold separately. 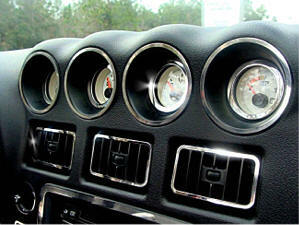 High polished Center Dash Stainless Trim Set. 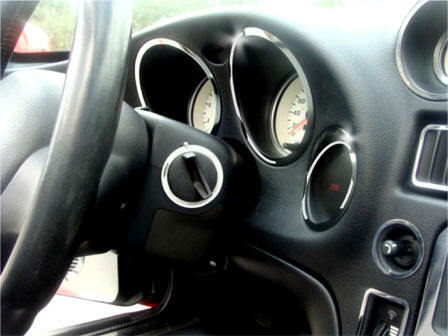 Includes trim for Rear View Mirror Control, Interior Light brightness Control, Ash Tray, Passenger Airbag Control and Center Instrument Panel trim. Make your interior that of a show car! What a difference this kit makes. Everything you need is included. Easy to install. Peel and stick. 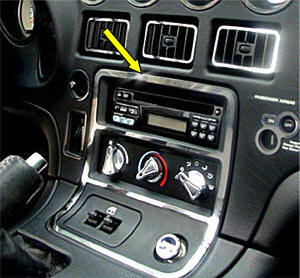 Includes inner and outer trims for the four gages top center on dash. 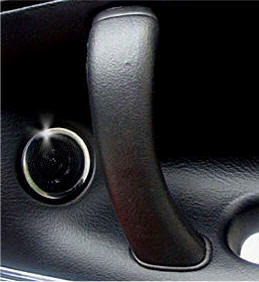 Mounts directly on the swivel vents themselves. 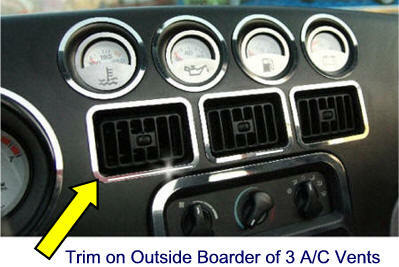 Mirror polished stainless steel environmental control (A/C) trims for the center dash instrument panel. 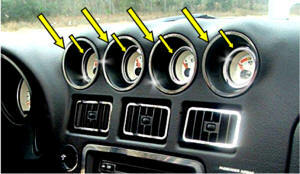 Mounts on the Outside edge of the each vent. 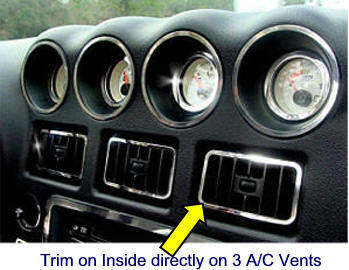 Stainless Steel Air conditioner vent Surround bezels with High polished finish. Easy mount peel and stick. 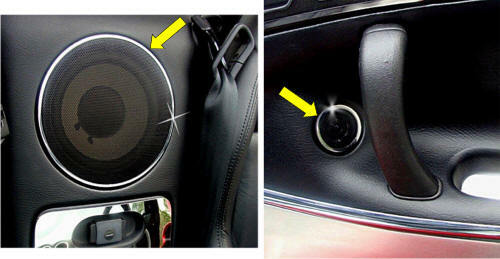 May be removed without harming our interior (however can not be remounted). 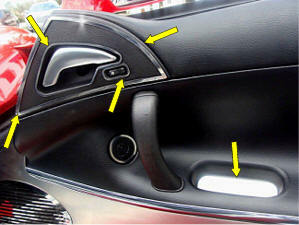 Beautiful bright addition to the dark stock Viper interior. 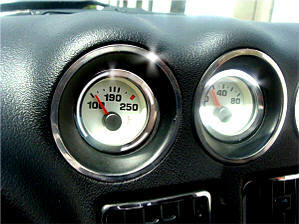 Mirror polished stainless steel gage trim rings for the drivers side instrument panel. 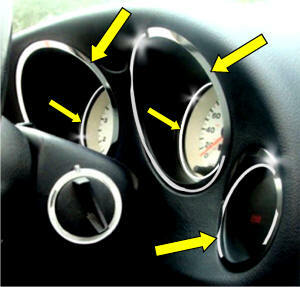 Includes inner and outer trims for the speedometer and tachometer. 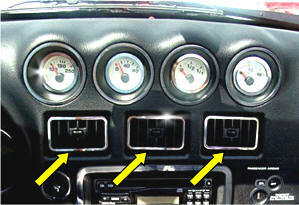 Single trim rings for the Engine trouble light and headlight control gages. This high quality mirror polished shiny stainless steel plate fits right on top of your existing Viper Glove Box door between the two seat backs. 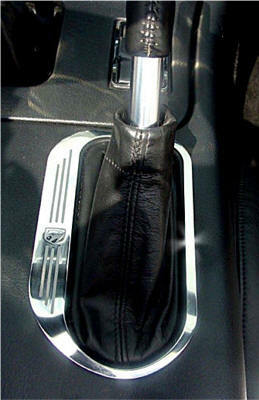 It is etched with a modified Viper symbol. 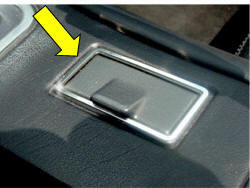 It has a self adhesive back that allows for easy mounting. Size is 7.5 inches wide by 6.5 inches in height. 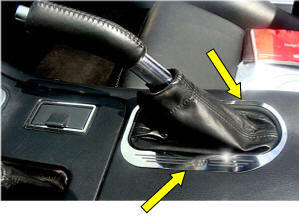 Stick it anywhere to dress up your Viper! Size is 21/8 inches wide by 13/4 inches in height.